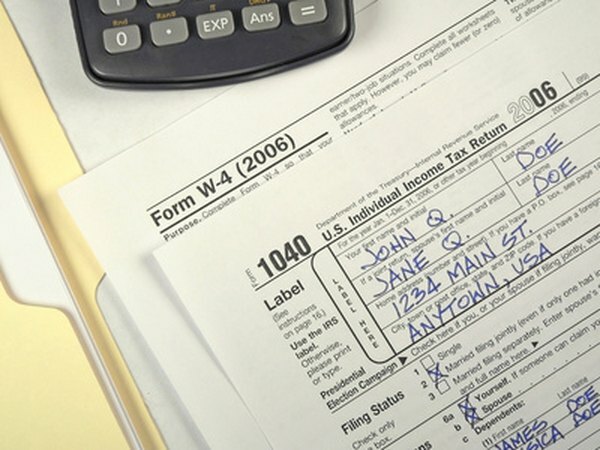 Filing of the final tax return often falls to the spouse. 1. Can You File a Deceased Taxpayer Return Electronically? 2. Who Signs Your Tax Return if Your Husband Was Deported and You Are Filing as Married? When your spouse dies, one of the somber duties that must be undertaken is the filing of the final tax return. You have to include the decedent's income until the date of death, along with your own income, if your filing status is married filing jointly, completing Internal Revenue Service Form 1040 with any necessary schedules. If you file separately from your deceased spouse and are claiming an expected refund, you have to complete Form 1310 in addition. Write the word "Deceased" and the date of death across the top of Form 1040. This is to be done whether you file jointly or separately. It alerts the IRS to the taxpayer's demise. Write the word "Deceased" after your spouse's name on Line 1 of Form 1040. Complete and sign the form. If you file jointly, sign the second signature line yourself. On the line where your spouse's signature would have been written, type "Filing as Surviving Spouse." This lets the IRS know that you, as opposed to a professional preparer or estate executor, filed the return. If you receive an IRS refund check in the name of you and your spouse and would prefer a check in your name alone, file Form 1310, checking off in Part I of the form the box that denotes you are requesting a reissued check. Return the original check with Form 1310. You can also request reissuance in your name alone by letter. You do not need to include a death certificate when you file your spouse's final return. Cooper Elder Law: Who Signs the Tax Return for a Deceased Taxpayer?